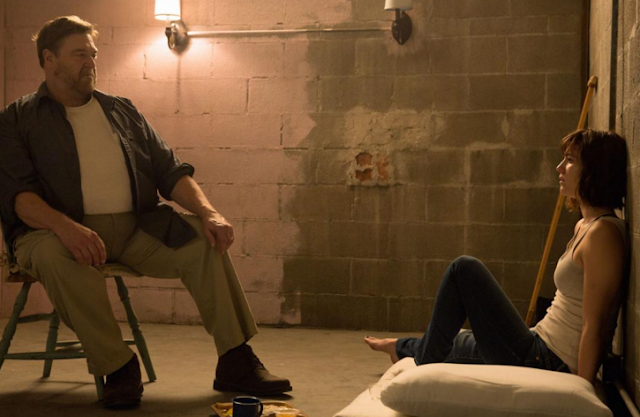 Michelle (Mary Elizabeth Winstead) wakes up in an underground bunker with two men, believing herself to being held captive by Howard (John Goodman). She soon learns that America has come under an apocalyptic attack and prepares herself to settle into life underground but is about to discover that not everything is as it seems. The film opens with Michelle as she packs her bags, flees New Orleans and a broken relationship. It's almost a completely wordless sequence, disturbed only by her ex-fiancee pleading with her on speakerphone as she drives across rural highways. Suddenly, her car is rammed off the road, causing it to flip and audiences a shock scare - the first of many intense moments throughout. 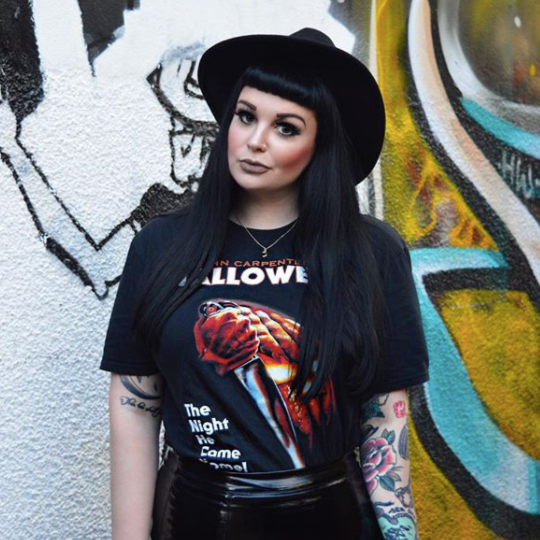 Michelle wakes up, injured and chained to a wall in an underground bunker, desperate to escape. However, she soon meets her inmates, Howard (Goodman) and Emmett (John Gallagher Jr.) who explain that the earth above them is no longer safe, destroyed by some kind of nuclear or chemical attack. Realizing she is going to be there quite a while, Michelle begins to adjust to her new life; yet she can't shake a feeling that something more sinister is going on. The narrative wastes no time in getting started. Emmett is introduced almost immediately and acts as an excellent curve-ball in the narrative building blocks. As a central conceit, his presence causes many questions and places a constant element of doubt in the spectator's mind. Is Howard really telling the truth (as the evidence suggests), or is something else at play? These constant questions and twists project Michelle's uncertainty on to us constantly, a fantastic tool which keeps us on the edge of our seats and aids the narrative, beautifully. Though, on the surface, Howard appears to be a good guy - constantly reminding the pair that he saved their lives - he is also strange and with a temper. As time passes by, Michelle cannot shake the feeling of doubt, digging deeper and finding clues that suggest Howard's dark past - threatening both her's and Emmett's safety and everything they've been led to believe. With such a limited landscape, the narrative relies heavily on the screenplay and it's cast for it's success. First time director, Dan Trachtenberg, does an excellent job of creating a claustrophobic environment inside the bunker. Though some of the dialogue is a little ropy, Goodman offers a stellar performance which keeps up on our toes. His lifeless expressions keep us forever guessing who he really is whilst his outbursts are utterly chilling. By far, Goodman is the best thing about the film, on a long list of it's achievements. One criticism of his character, however, is that we never really, fully have closure. The evidence presented and subtle suggestions do leave us audiences to make up their own mind and piece the narrative together how they see fit. Furthermore, Winstead also offers a very believable, well executed performance in her role as Michelle, who refuses to be a victim in this refreshing spin on the 'final girl'. Although some of the original codes and conventions of that style are evident, it is in no way overly predictable and Winstead carries it off wonderfully. Though Trachtenberg was new to the role of director, he had an outstanding team behind him to bring the film to life. A supposed sequel to the original Cloverfield (J.J Abrams, 2008), 10 Cloverfield Lane certainly stands on it's own, as well as a successful sequel. Trachtenberg could not have had a more impressive team to help kickstar his career as a director. For one, he had a screenplay co-written by Damien Chazelle of Whiplash (2014) fame, J.J Abrams himself as a producer and, of course, Abrams' production team, Bad Robot, for added support. Combined with an excellent cast and well-written narrative, it is no surprise that 10 Cloverfield Lane is an excellent piece of cinema. Ultimately, the film is a suspense-thriller with that classic Abram's you-didn't-see-that-coming-twist. It's narrative winds you tighter and tighter before its secrets come gushing out in one explosive finale. However, I cannot help but feel as though it let itself down at the last hurdle. The final fifteen to twenty minutes of the film are very messy and somewhat rushed. Even more so, they are inconsistent with the rest of the film. Whilst the finale does not spoil the rest of the film itself, I do feel it brought down the tone a little. It does also make way for another sequel although I personally believe the franchise is perfect with just the two productions. Overall, 10 Cloverfield Lane is a fantastic suspense film. Goodman offers up an incredible performance whilst audiences are left constantly with a pit in their stomach as the narrative twists and turns at every corner. I give it a Sophie star rating of 4 out of 5 stars and would strongly recommend you see it in cinemas while you can. 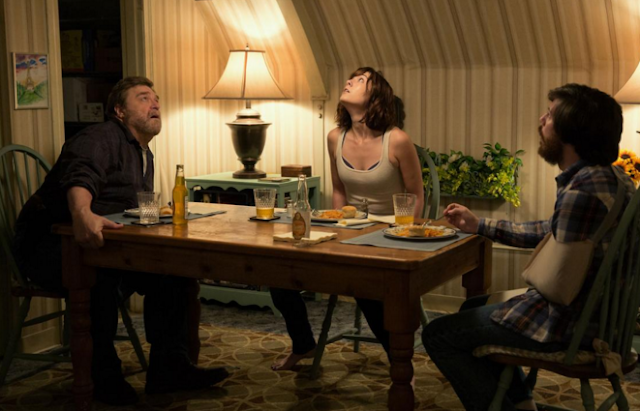 So there you have it for another film review - Have you seen 10 Cloverfield Lane yet? What did you think? As always, I love reading your comments so please do leave me lots of lovely ones below. Oooe haven't seen this yet! I haven't seen this yet (probably should, considering my job...) But I'm no good with jumpy things in person. Honestly, I'd be THAT person going "OH MY GOD" everytime something made me jump!! I need to see this! It looks so good! Amazing review hun, need to see this ASAP! I went to see this film the other week and was really impressed. It's so much better than the first film and I love Goodman's complex character, he was so mean but I also felt genuinely sorry for him at some points, that's special. I also agree with you about the ending but the whole psychological thriller side to it was brilliant and such a great leading female role. I NEED to see this - Ash just pointed out the actress played Ramona Flowers in Scott Pilgrim! I knew I recognised her face haha. Lovely review as usual - I know where to come when I want to know if a film is worth watching before paying money to see it! It took me a while to finally see this. Very creepy. 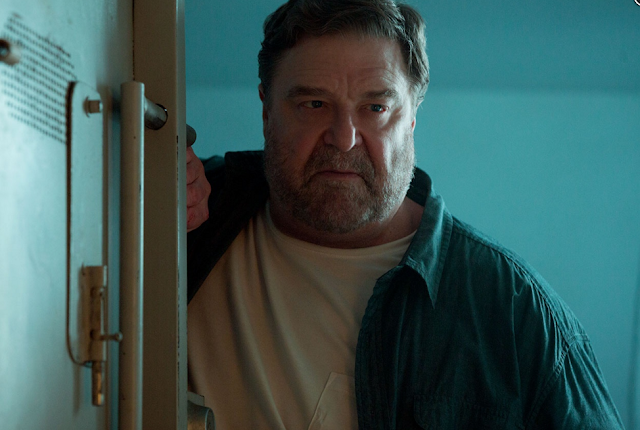 I don't think I've seen John Goodman play a role like this. It was also good to see Mary Elizabeth Winstead. I specifically watched the last Die Hard movie because of her and was disappointed that her role was very minor. Excellent review as usual, Sophie! Okay so I loved the first Cloverfield just because it was kind of one of the first "unknown" movies I saw when I was younger. I had no idea what it was going to be like and it was just wild. Although I was very interested in 10 Cloverfield Lane, I haven't heard great things about it so I haven't checked it out yet. Because of your review, I think I will. Mary Elizabeth Winstead is a goddess and John Goodman is terrifyingly good in everything he does. Thanks for the review!